102.7 FM live broadcasting from Australia. 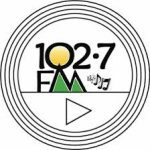 102.7 FM is dedicated to high quality programming for Toowoomba and the Darling Downs. All the programs by the radio is based on the demand and preference and what will be liked by their listeners. 102.7 FM tries its best to make for the most compelling radio of its type. 102.7 FM is one of the most famous online radio station on Australia.